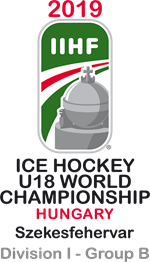 Great Britain Under-18 Women produced a fantastic performance against the tournament’s top seeds, but were narrowly beaten 2-0 by France U18 Women in the U18 Women’s World Championship Division 1 Group B in Katowice, Poland. Two third-period goals were the difference between the two sides as France, who were relegated last season from Division 1 Group A and are amongst the favourites to be promoted back to the second tier, secured their second win at the tournament. Jessica Sprules was named as GB’s player of the game, while netminder Maisie Gilbert turned away 37 of the 39 shots she faced. GB started strongly and had eight shots in the first period, including a good chance for Emily Harris on the powerplay but she was denied by Charlotte Cagigos. At the other end, GB killed off two successive penalties and Gilbert had to be sharp to deny two point-blank chances from France. 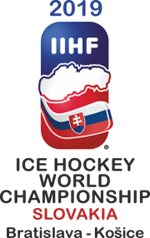 The French stepped up a gear in the second period but GB continued to hold firm, with Gilbert making a plethora of top-class saves, and Britain went close to scoring when Sophie Campbell saw her close-range shot saved by Cagigos. France took the lead at 43:11 as Julia Mesplede cut inside from the right and fired across Gilbert and their captain Margot Desvignes made it 2-0 when she put away a rebound on the doorstep (54:55). Verity Lewis nearly got GB onto the scoresheet as she broke at speed into the offensive zone but her shot produced a fine glove save from Cagigos, who secured a 17-shot shutout. GB assistant coach, James Ashton, said: “The girls can be very proud of that performance, the way we matched the top-seeded team in the tournament. “We created some good scoring chances and I felt we were much tighter at the back than yesterday. “Of course it is a shame not to win but that performance will do so much for us down the stretch at this tournament. There are no games in the tournament tomorrow but GB return to action on Tuesday against Australia at 8pm (7pm UK time).